Abstract: Lung cancer is one of the most common causes of cancer-related death. 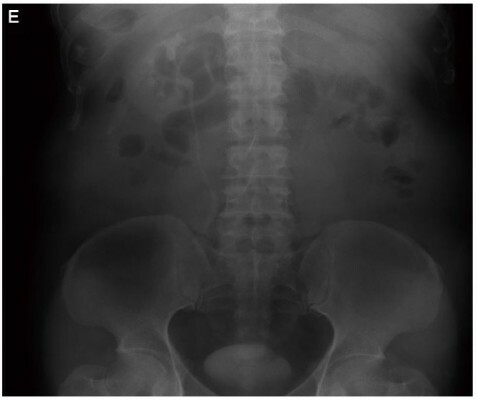 Most of them already have distant metastasis at the time of diagnosis, but ureteral metastasis is extremely rare. Herein, we reported a lung cancer patient with a metastatic lesion from lung cancer at the distal end of the ureter. The patient is a 61-year-old male diagnosed with invasive adenocarcinoma after the right upper lobe resection and system lymph node dissection surgery. After 12 months of surgery, during routine physical examination, lower abdominal enhanced computed tomography showed there was a soft mass with uneven continuous enhancement at the distal end of the ureter. After the surgery of ureter, the mass was histologically considered to be a metastatic lesion arising from the primary lung cancer.